For kids and adults alike, Easter is all about spending time with family, dyeing eggs, eating plenty of yummy food, and of course going on Easter egg hunts! Kids of all ages look forward to hunting down eggs and, hopefully, finding a bit of a surprise inside! While you can go the simple route and just hide some eggs around your yard, we have some tips to make it a hunt they’ll never forget! Read on for our favorite epic Easter egg hunt ideas! 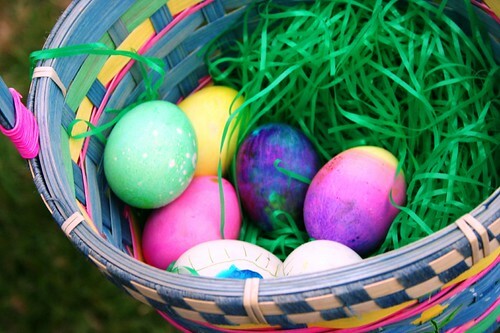 What are your favorite Easter egg hunt ideas? Do you have any special traditions in your family? We want to know! Affiliate links included below. We get a commission if you make a purchase. Money eggs To make the hunt super exciting, add coins and maybe a few dollar bills among some of the eggs. Children always get excited to find money in their eggs. 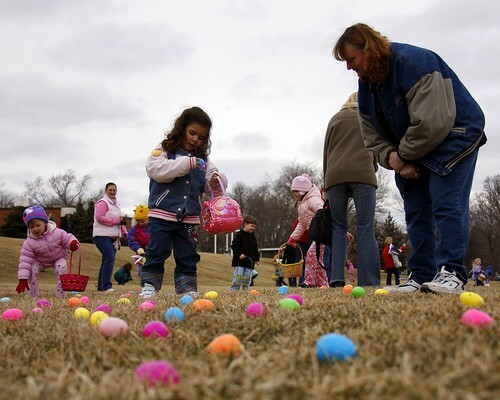 Make it a scavenger hunt If the family has children of all ages, a scavenger egg hunt keeps things fun for everyone. Assign each child a list of different items that they have to find. The last tip should lead them all to their baskets. Have a special egg Use a golden egg or some other color that indicates that this egg is the special egg of the day. Whoever finds this egg gets a special prize at the end of the hunt. A matching game Put plastic eggs together with different colored tops and bottoms. Have children collect the eggs and then work as separate teams to match all of the colors together. Once all the eggs are no longer mismatched, the fastest team wins a prize. Always used wrapped candy Loose candy such as jellybeans and M&Ms can get messy if the egg breaks open. Always use wrapped candy when possible. Blindfolded hunt For added fun, have kids work in pairs to complete a blindfolded Easter egg hunt. One of the children can navigate the blindfolded child so that they can find the hidden eggs. Whichever pair finds the most eggs, wins! Glow in the dark egg hunt If the family has a lot of older kids, a glow in the dark Easter egg hunt is bound to be exciting! Use glow in the dark eggs and either turn off the lights or hold the hunt outdoors under starlight. 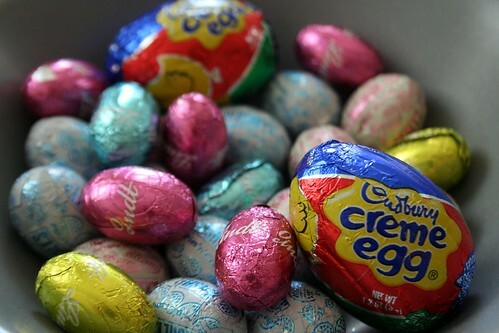 Put puzzle pieces inside of the eggs To keep kids busy after the hunt is over, add puzzle pieces to some of the eggs. After all the eggs have been found, have children put the puzzle together before baskets are given. Fun ideas and a great way to change things up during such a traditional holiday. My kids would be much more motivated to hunt for eggs if there was money inside. These all sound fun and exciting! I can’t wait for Easter! It’s always been fun for the kids and this year, I’m planning a lot of things for the family. This is great! I’ve been thinking about what to do for Easter with the kids. I really appreciate these tips and ideas, thanks! The glow in the dark Easter eggs are going to be the best one for our family. The kids are all grown up now and this would be a fun twist to the egg hunt they enjoyed every Easter when they were still little.